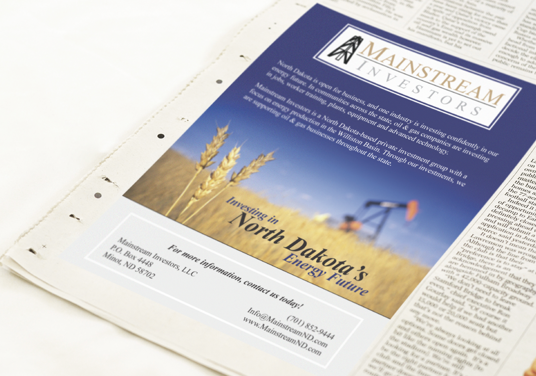 Mainstream Investors is "Investing in North Dakota's Future". 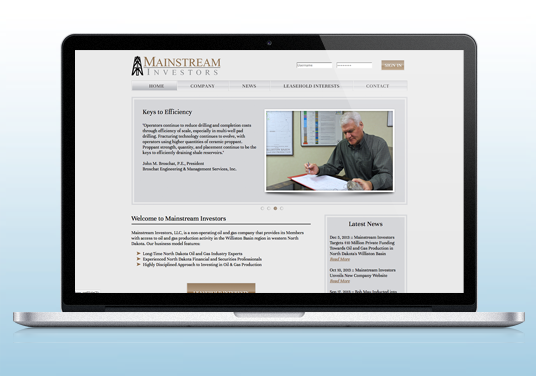 We worked with the staff to create a modern, clean, informational content management website with a member access area. 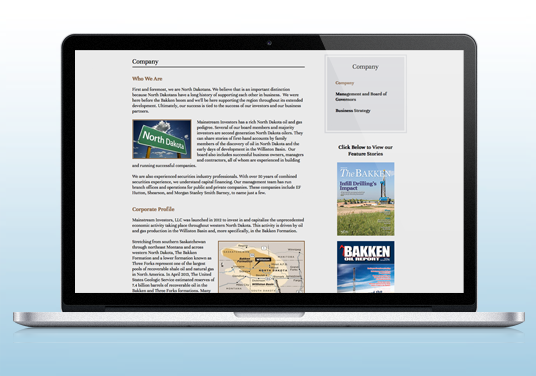 We then created a series of print ads to introduce the company and their services to the region.